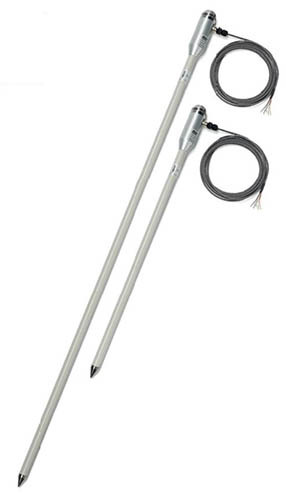 The temperature probe TP32MTT.03 is equipped with seven Pt100 1/3 DIN sensors for measuring the temperature at the depth of: +5 cm, 0, -5 cm, -10 cm, -20 cm, -50 cm, -1 m with respect to the ground level, according to the recomendations of WMO. 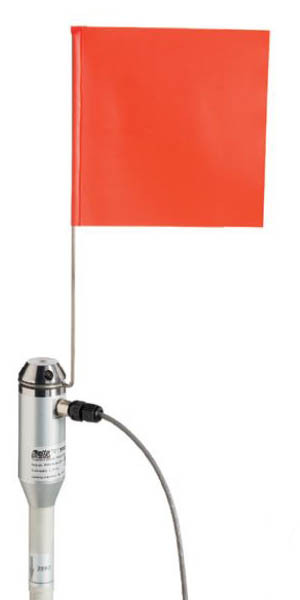 The temperature probe TP32MTT.03.1 is equipped with six Pt100 1/3 DIN sensors for measuring the temperature at the depth of: +5 cm, 0, -5 cm, -10 cm, -20 cm, -50 cm with respect to the ground level. The fibreglass tube ensures impermeability of the probe to moisture ingress and a high thermal isolation along the length of the probe.